Summit is Celebrating 35 Years of EH&S Training - Share Your Safety Story with Us! 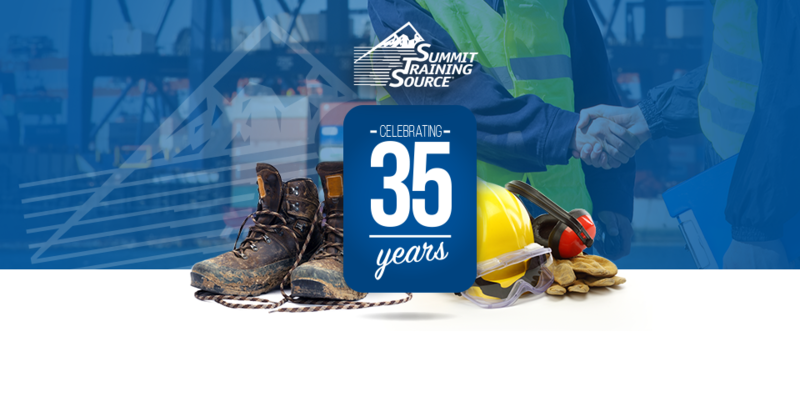 2016 marks Summit Training Source’s 35th Anniversary of doing what we love; helping you, our customers, avoid accidents and incidents and save lives every day on the job. And we want to celebrate this milestone with the people that helped us get here by sharing some of our favorite facts about Summit! Summit has been a proud member of the Health & Safety Institute family of brands for 3 years now. With the combined values of creating technically accurate, engaging, and results-orientated training solutions, as well as a foremost commitment to customer service, Summit has the ability to offer our customers complete safety, compliance, and emergency care training needs including over 800 training programs available in eLearning, streaming video, and DVD courses, onsite training and consulting services, and customized training solutions. And we think that’s pretty cool. In addition, this year marks a new offering that we are really excited about. HSI’s recent brand family member, SafeTec, offers you chemical management for the support, technology, and knowledge of how to safely and sustainably manage chemicals in your organization. With Summit’s evolvement over the years, we hope that this united front for safety, chemical management, and emergency care needs gives you a unique solution set for your EH&S program. Do you have a success story of how Summit has helped you or your organization? We’d love it if you would share your story with us! Please take a moment to submit your safety success story – and it could be featured in our anniversary booklet!